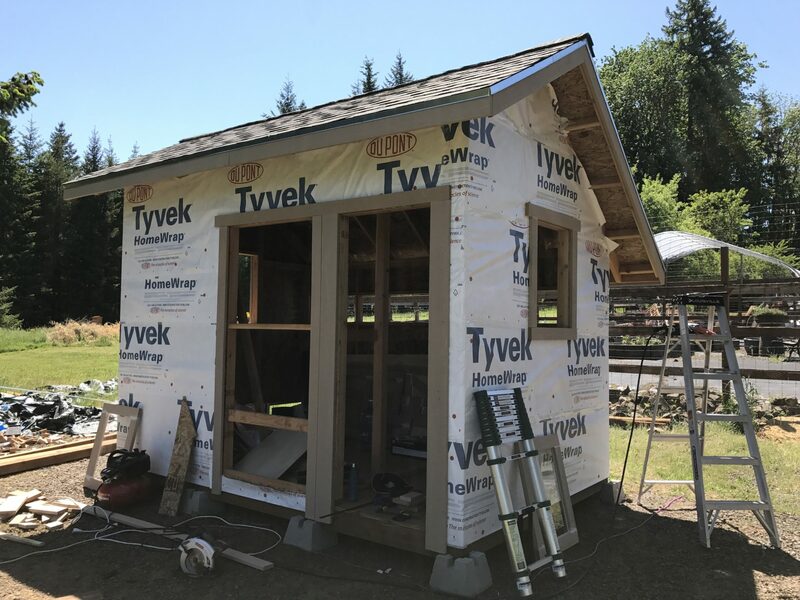 A little more done on the chicken coop: trim around some of the windows and doors. 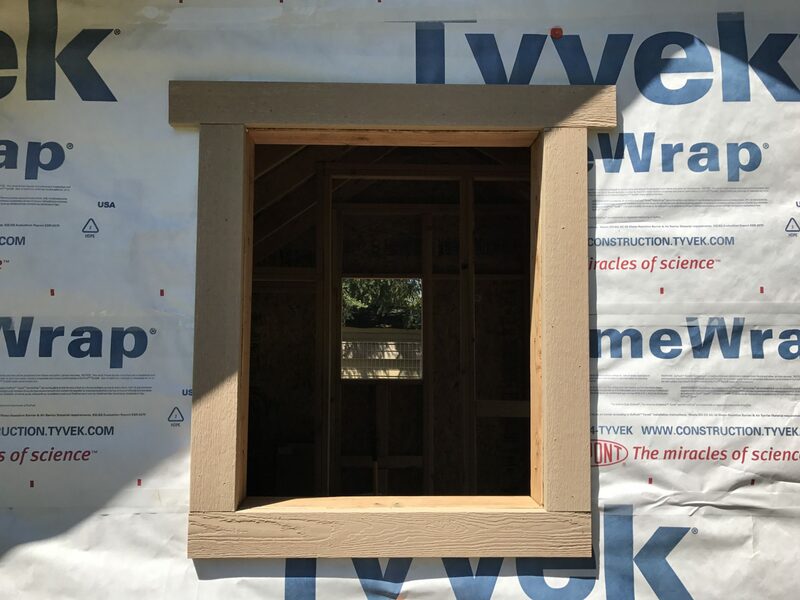 The trim around the front window, egg door, and people door. (Not quite completed; still needs boards at the bottom.) 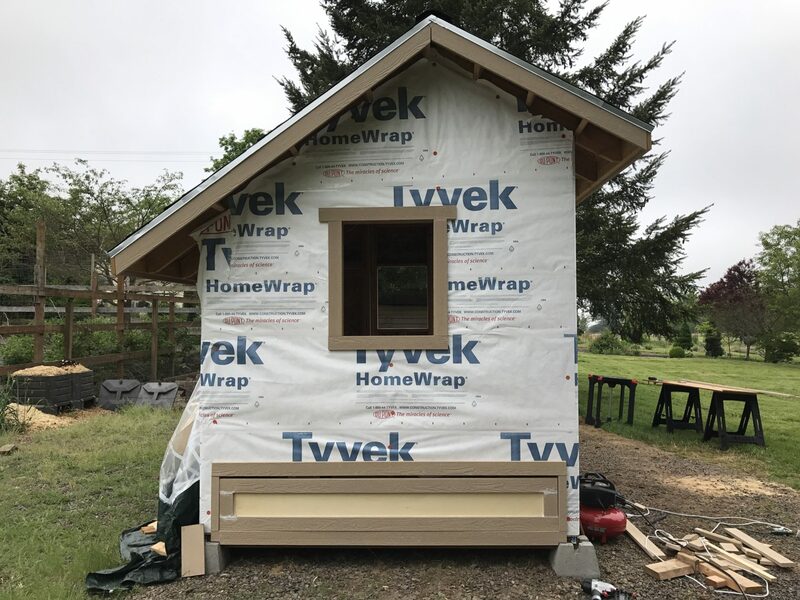 I used wider trim around the door to avoid a narrow strip of siding between the two doors, and between the door and right corner (which will also have trim, not yet installed). Trim around the east side window, looking through to the west side window. The front and west sides. 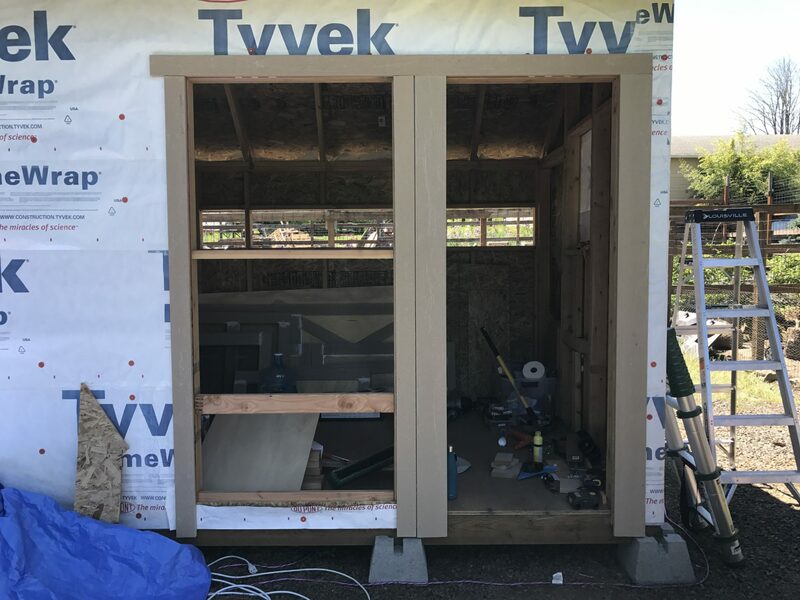 The east side, including the poop door, sitting temporarily in place. Closer on the poop door. 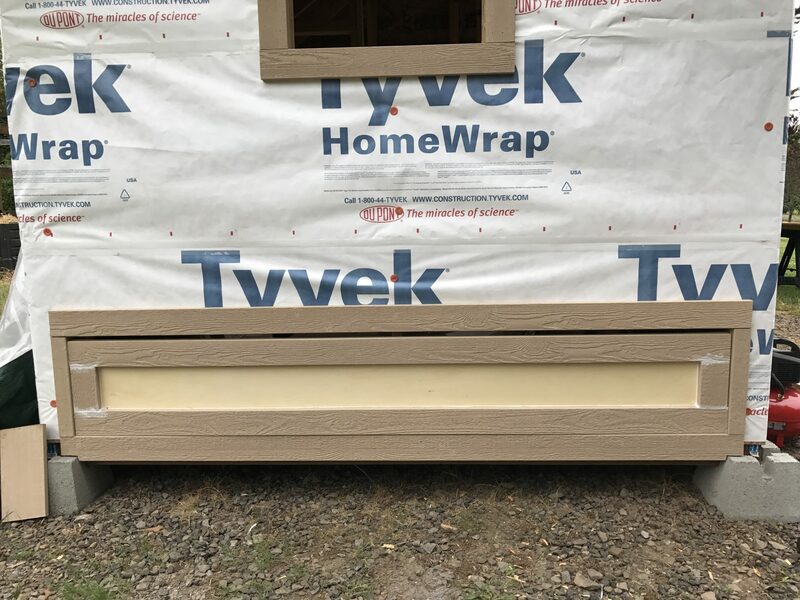 I cut the sides narrower to allow for the corner trim (yet to be installed), and the bottom to fit around the concrete footings. It doesn’t look like there are many of the 5 week old chicks in residence – are they living in the house with you in the meantime? Yes, the chicks are in the house at present, living in a couple of large dog crates. They’re getting fairly big, though, so we’re finishing the coop as quickly as we can.